Flashmob: Dancing together for Peace (Sign Language Song) – Let's Peace! 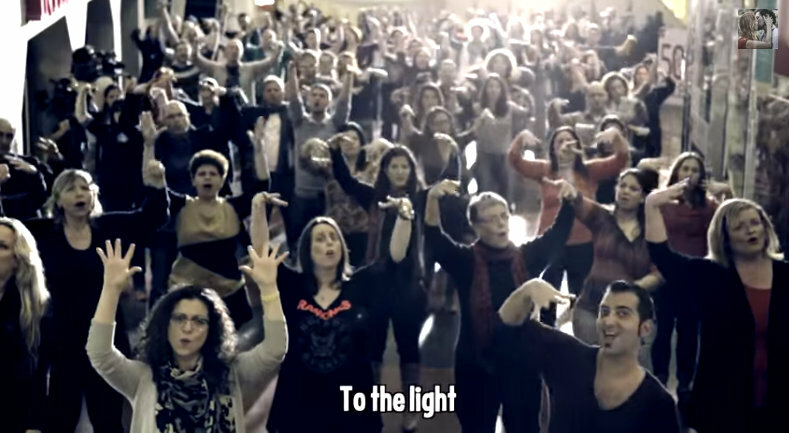 Arabs and Jews dance together in a flashmob – they use sign language alltogether! Anyways i liked the video and hope you enjoy it, too! If you want, you can sing along! that the intention gives faith. I do not understand what is going on and I wonder who listens what’s in the heart. And I see the future and keep thinking that the intention gives us faith. If we only looked around and weren’t afraid… And we show the world, that we are all together. So together we will walk side by side to the light. This time we will walk together. And together with you. For love. my way won’t be easy. A Second Seder: The Night of an Interfaith Exchange. mondamo bei Which side are you on? Bobby Langer bei Which side are you on? Stephan bei Which side are you on?